//I actually thought the problem was only software because when some one says the hard drive is problematic, it usually ends up just being the Operating System. It was basically telling me that the system BIOS could not connect to one of the drives in the computer. Because i dont have an extra laptop laying around, i couldnt test if the problem was actually the hard drive. So instead of leaving it alone, i decided to try and reinstall the Operating system. I Downloaded Windows 8.1, Mounted it to a DVD-RW, and put it into the laptop. //Question one: If i was successfully able to format the Hard drive, doesnt that mean the hard drive ISNT THE PROBLEM? When i was installing the new version of windows, i noticed something VERY strange. When all the files got copied to the hard drive, and setup started actually installing the system, it was REALLY slow. I mean... it took like 10-20 minutes to go from 1% to 2% (At this point im thinking the Hard drive could be the problem). So while i was installing Windows (At about 95%) The laptop died.... (it got unpluged). Annoyed and flustered, i start the computer up again, and boot from the disk again (Windows 8 DVD) And the windows setup got frozen.... It would not get to the screen that would allow me to select a hard drive to install to. I waited for an hour before i realized the setup would probably never load correctly. 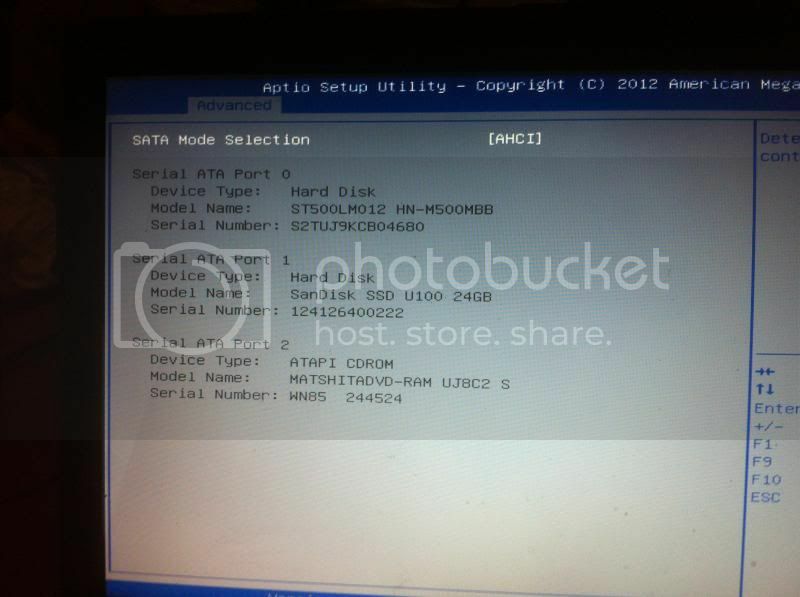 The wierdest thing about all of this.... BIOS KNOWS that the devices are connected, In one of the catagories, it shows that the Hard drive and optical drive are connected, But when i goto the boot catagory, there are NO boot priorites. Its just Empty. * Im thinking that the BIOS is failing to launch CMS, and thats the problem. Hope some one can help!! And if you dare, you could unplug the hdd and try it in your desktop. Any other suggestions in fixing my BIOS? 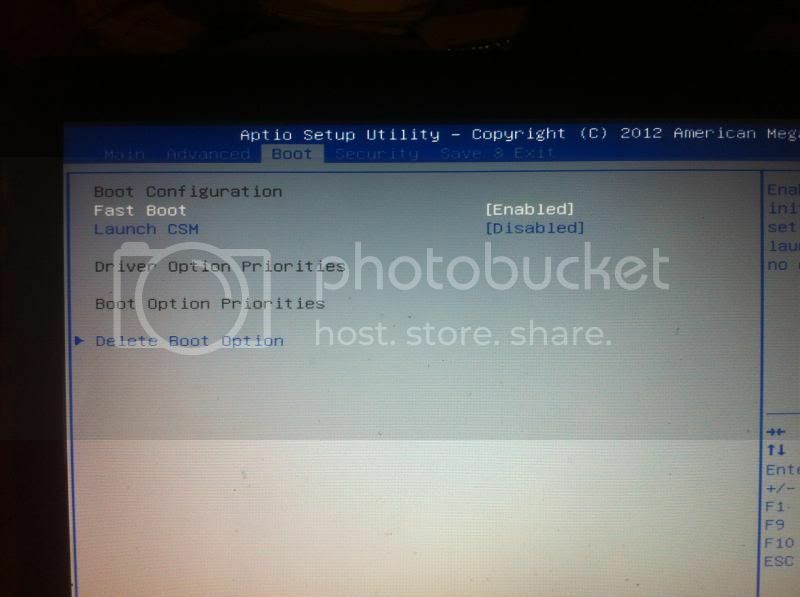 1. try disabling fast boot, save setting, reboot enter bios could show boot device list. 3. some people list a boot override listed on the exit page no idea on what to do with it but something about it. BIOS problem has been solved. I searched all over the Web and generally don't reply to these posts but for some one who is not as tech savy and going through millions of different possibilities of failed hard drive and mother board etc this was the simplest and most effective solution. It worked like a charm and am glad I came across this for Tim pulley's solution. Thank you mate!! Thank you so much for your time Tim! My nephew's Asus motherboard was also booting only into BIOS for two weeks. So, re installing windows was a solution for it. - Plugged the hard drive into external reader, it could not read it. - Removed CMOS and RAM and reinstalled them back a little later, but didn't help. - Set Fast boot to disabled. Since I was still seeing the hard drive in BIOS settings, I wasn't sure if hard drive was faulty or not. So, I booted from a Windows 10 Pro CD to check if I can see the hard drive during the installation process. Noticed that it was showing almost 1 TB ( the actual size) , but unallocated just like you see when you buy a new hard drive. Installed, windows 10 Pro again and everything is back to normal. I can't launch the CMS because the options are greyed out... any ideas guys? Thanks, you save my life!